She said she had been unaware of the connection but withdrew from a future Uber case she was due to hear about Brighton’s refusal to renew the company’s licence. Submissions by Robert Griffiths QC, acting for the United Cabbies Group, said Arbuthnot had failed to explain why, if she was not qualified to hear the Brighton case, she had been qualified to hear the London one. Transport for London, the regulator, refused to renew Uber’s licence in September last year, saying its behaviour fell below the legal test of being “fit and proper”. Uber appealed. In her decision, Arbuthnot said TfL had been right to refuse a licence at the time, since Uber had deceived both it and the High Court in a previous action. However, she said Uber had since improved and gave it a temporary, 15-month licence to allow it to prove that it deserved a longer licence. 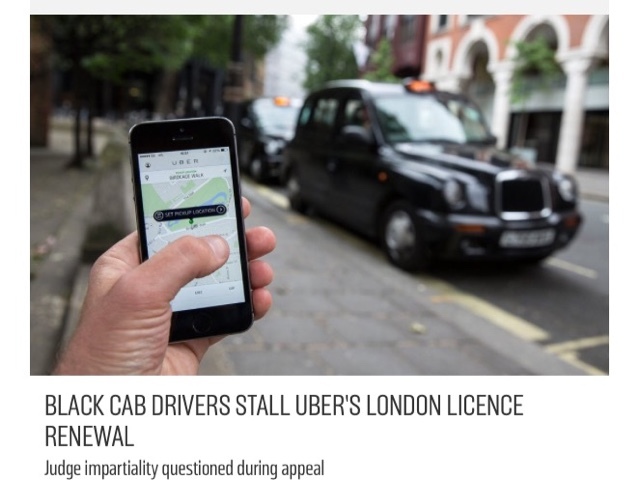 Calling her reasoning “unlawful” and “illogical”, Griffiths said Arbuthnot was not allowed to reprieve Uber “in anticipation of it becoming fit and proper” but was obliged to decide whether it was actually fit and proper at the time of the case. Uber, which can operate while the case proceeds, declined to comment. 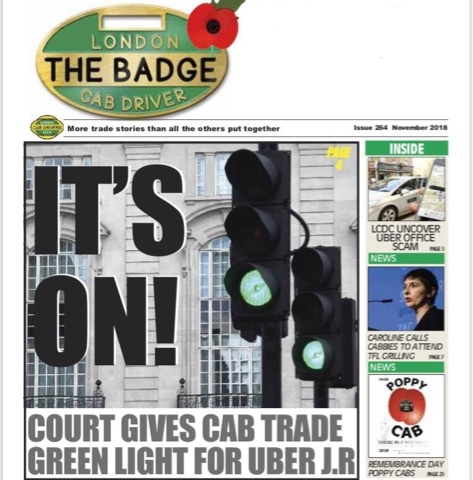 Its a no brainer uber, you get your cheque book out, make me a sensible offer, and you can have my badge, and countless others, and you can have it, and no more legal fees! win win uber, but you must be generous!